The Duchess of Rutland might have spent much of her childhood beating for her father and his friends, but when farmer’s daughter Emma Watkins married into the aristocracy she was aware how little she knew about running a commercial shoot, let alone one of the grandest in the country. 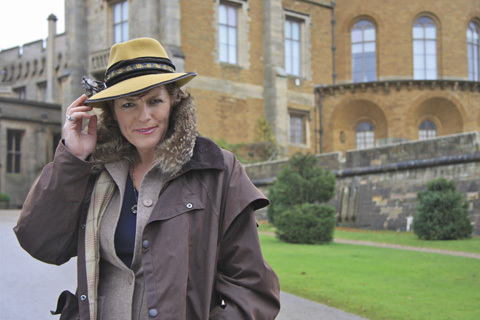 It was something she wasted little time in getting to grips with and, for the early part of the new millennium the Duchess of Rutland (as she had become) co-hosted several decent seasons at Belvoir Castle in Leicestershire. But when the financial crisis struck in 2008 and the estate began haemorrhaging money, the Duchess of Rutland realised she knew less about the countryside than she’d thought. So with her five children away at boarding school, she set about learning. Four years on she’s at the helm of one of the most successful country house operations in Britain. Belvoir has hosted the CLA Game Fair twice, launched the ‘Rutland’ 12 bore shotgun with Longthorne Guns, and used her interiors background to put together a fine range of furniture. 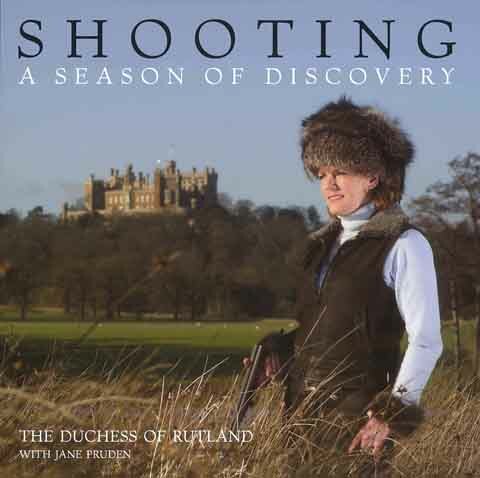 It’s her book, though, of which she’s most proud, since the decision to write it is what spurred her to visit dozens of British shoots to really gain an understanding of an activity the Duchess of Rutland had always considered a simple pastime. Shooting: A Season of Discovery is, for want of a better term, a beginner’s guide written from the point of view of both a novice and a woman, who found herself at the helm of a struggling 16,000 acre estate despite knowing more about cooking game than shooting it. Emma, Duchess of Rutland, in front of the castle she has helped to turn around. The Duchess of Rutland confesses to being surprised at the role shooting plays in conserving the countryside but realised she could play a key role in spreading that message to everyone outside the shooting fraternity. “Whether you are a poacher or a Duchess, there are all sorts of people who shoot and who do so while respecting the countryside. 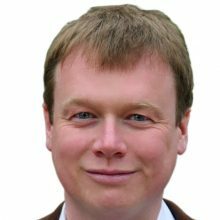 But most of Britain doesn’t get that pleasure and doesn’t know what a vital role it plays in keeping the countryside a vibrant, healthy place to live and work. “When the economy slumped and our corporate clients began tightening their belts, the shoot’s income fell by 70 per cent. I was sitting in a big meeting a few years ago with the whole team and asked: ‘Why are we doing this? It loses a lot of money.’ I just wanted to know if everyone lost money on their shoots. It was then that I knew we had to do something drastic. We decided to look at things with a different eye. Nothing had been done with our woodland for 50 or 60 years. Running a commercial shoot, we realised, isn’t about making huge amounts of money but about playing your part in the survival of the land and the communities that depend on it. “It was important for me to understand whether our sport was truly vulnerable or not, and to talk about it in a very real way. My book isn’t political but, for me, shooting is a very big part of why we keep the countryside as it is, and why people from the towns and cities so enjoy coming to look at it. I don’t want to lose field sports and I don’t want to fight anyone, but I needed to know whether what we were undertaking was sustainable or not. “No-one told me how to be a Duchess – there isn’t a book on it,” says Emma Rutland, who is pictured here with her daughters. The Duchess of Rutland has clearly learned that pulling the trigger on the day is only a small part of the whole year. “I don’t think many people realise quite how much work, and science, goes into it – you’re working with nature, which isn’t the case with a clay shoot,” she adds. As the team at Belvoir swung into gear, partridge shooting was introduced to extend the season and the number of let days swelled from a handful each season to 90. In the castle, enormous time and expense has gone into refurbishing 13 of the grandest rooms into bedrooms where guests who want the ultimate experience can stay. Designing these fabulous bedrooms, including one where the love scene for the film The Young Victoria was shot (fantastically, they left the bed behind), came easily to the Duchess of Rutland as she’d just worked on a furniture range based on several Gillow pieces discovered in the castle. Leading furniture manufacturer Tetrad has recreated these pieces, using traditional methods and even the original willow blocks to hand print the fabrics. There is no doubt that shooting is key to the future of the Belvoir estate. Having been lucky enough to shoot there many times it is clear that the Duchess of Rutland and her team have created an incredible operation – one that gets better every time I visit. It is also obvious that the sentiments expressed in my interview and in her book are not platitudes, and that a serious effort is being made to ensure that Belvoir is confirmed as one of the finest shoots in the world. From the moment that ‘Big’ John the gamekeeper welcomes you outside the castle’s massive doors, everything is done to the most exceptional standard. The new reception rooms are warm and welcoming, luxurious without being unnecessarily grand. A disciplined line of beaters, perhaps inspired by Her Grace’s illustrious history in the line, and a well thought-out cover ensures that the coveys are never too large but well-timed and spread over the whole line. And then the pheasants. What pheasants! They rear strong fliers at Belvoir, which set their tails to the wind and set off with such energy that you are obliged to take a moment to admire them before settling yourself for their arrival in great waves. The pickers-up are delightful, always ready with a smile and a nod, even when you’ve told them, more in hope than expectation, that there’s definitely a hen bird hard hit in that spinney. And after an amazing day’s shooting, when the convoy of Range Rovers has picked its way back to the castle, and you’re drying out by the roaring fire, if you’re lucky you’ll be joined by Emma Rutland herself. Warm, welcoming, graceful and down to earth, she’ll be just what you always wanted a Duchess to be – but don’t be surprised if she grills you thoroughly about the day, especially about what could have been done to make it even better.